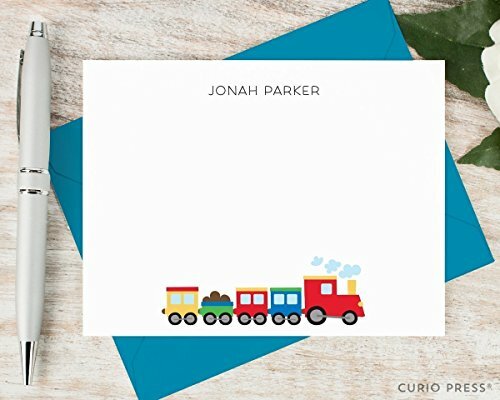 A2 size FOLDED notecards - 5.5" x 4.25"
Choose if you like the train to be colored or non-colored ---> "non-colored" can be perfect for kids to color themselves! Add the return address printed on the back flap of the envelopes for that finishing touch! Printed in coordinating fonts in BLACK ink only (see example images). Please be sure to specify address at checkout and include name if desired.